A few days ago when I borrowed Michael’s car to commute to work (his car has a bike rack) I sent him this text: “Why does your car smell like bananas?” He had no idea and it was a very strong smell. Neither of us could figure it out. Then on the drive home I discovered a bag of bananas. Ooops…they were the ones I’d bought the week before and forgot about. They were clearly not going to be eaten by me so I decided to make some banana bread with them. I consulted Twitter for the best banana bread recipe and Brittany from Eating Bird Food sent me her recipe. 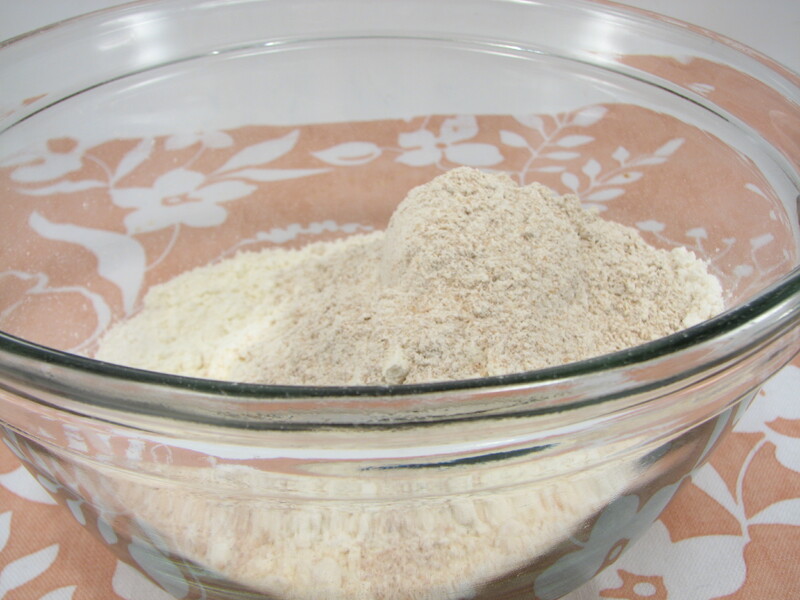 Combine the flour, baking soda, salt and cinnamon, stir. 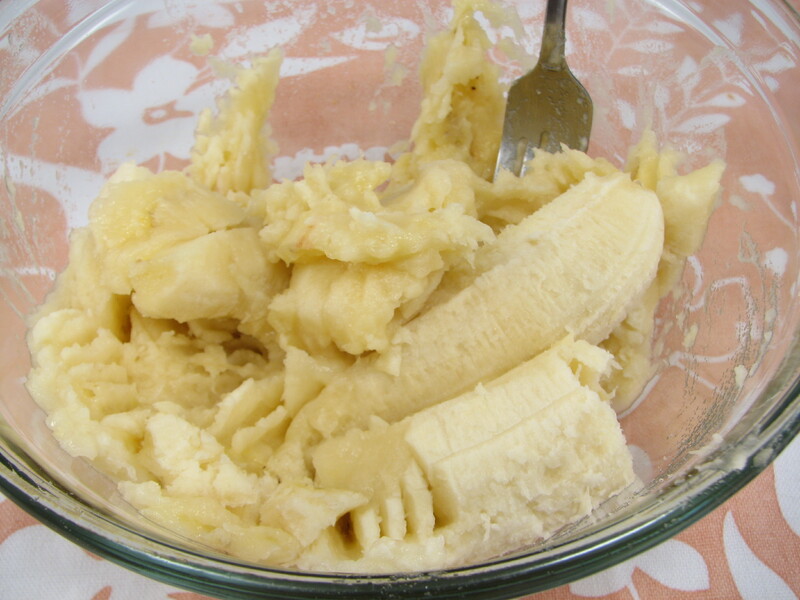 Place sugar and butter in a large bowl, and beat with a mixer at medium speed until well blended (about 1 minute). Add the eggs, 1 at a time, beating well after each addition. 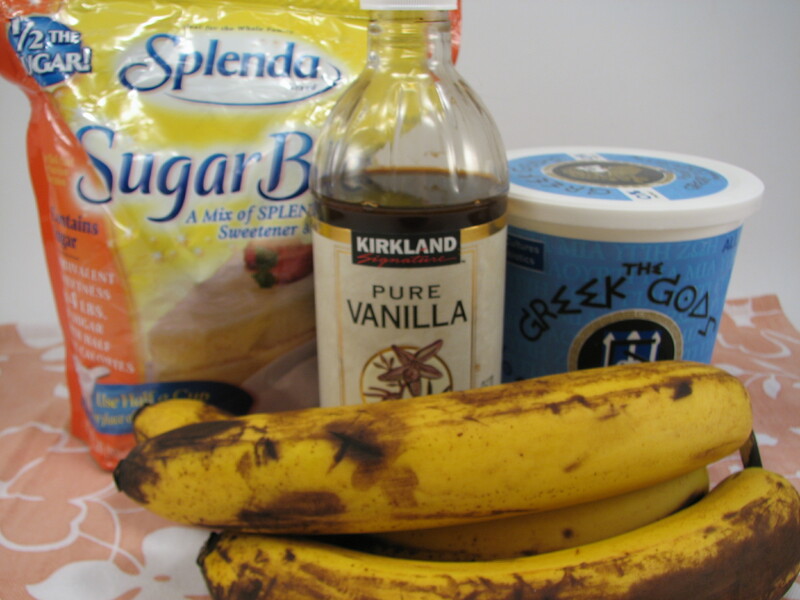 Add banana, yogurt, and vanilla; beat until blended. Add flour mixture; beat at low speed just until moist. 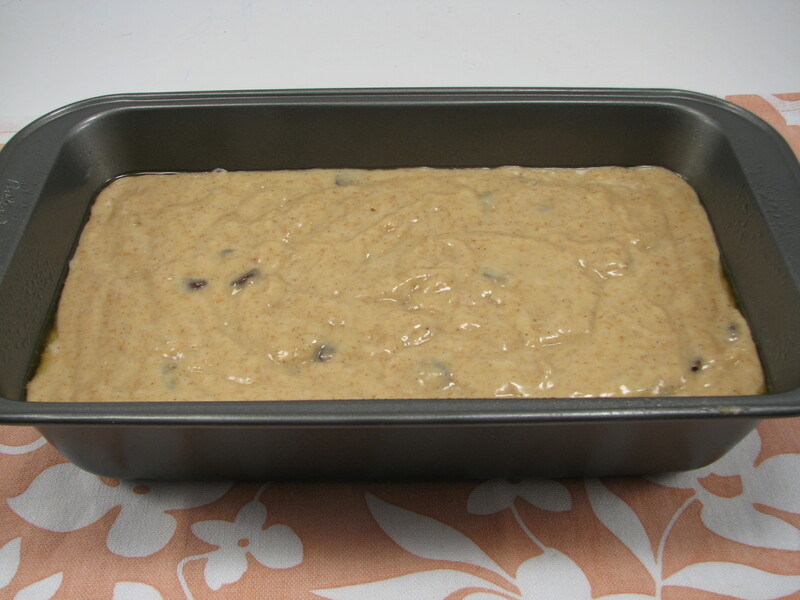 Spoon batter into an 8 1/2 x 4 1/2-inch loaf pan coated with cooking spray. Bake at 350° for 1 hour or until a wooden tooth pick inserted in center comes out clean. Cool 10 minutes in pan on a wire rack; remove from pan. Cool completely on wire rack. Thankfully I’d just bought some Greek yogurt at the grocery store. I’m not sure what I could have substituted for the yogurt had I not had it on hand. I decided to use the Splenda Blend that I have instead of sugar. I bought the bag specifically for baking in an attempt to make recipes a little lower in sugar/calories…then I stopped baking for a long time. 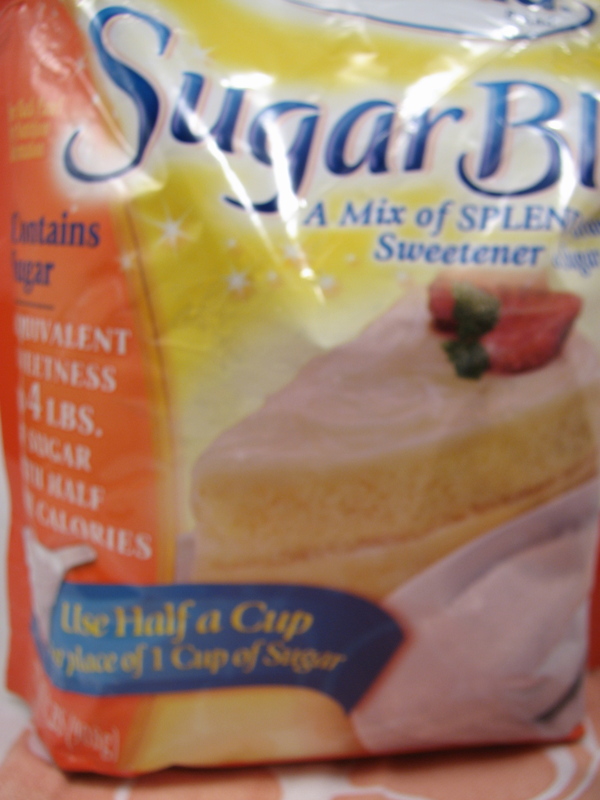 I recently re-found the Splenda in my cupboard and have been using it instead of straight sugar for various things. I decided to give it a try with this recipe. The recipe called for 1 cup of sugar, so I used 1/2 a cup of the Splenda Blend. This was the first time I’ve ever used our Mixer on my own. 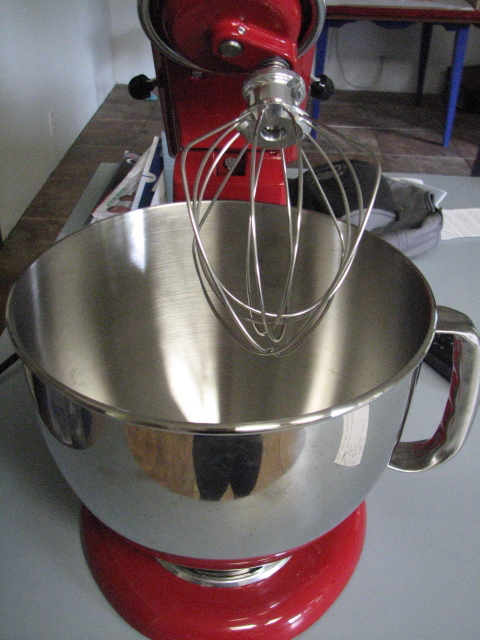 I had lots of plans with experimenting with the mixer and just never got around to it. Michael wasn’t home either, so I had to figure it out myself. And boy, is a Mixer an AWESOME thing?? The process of baking was suddenly a million times easier. 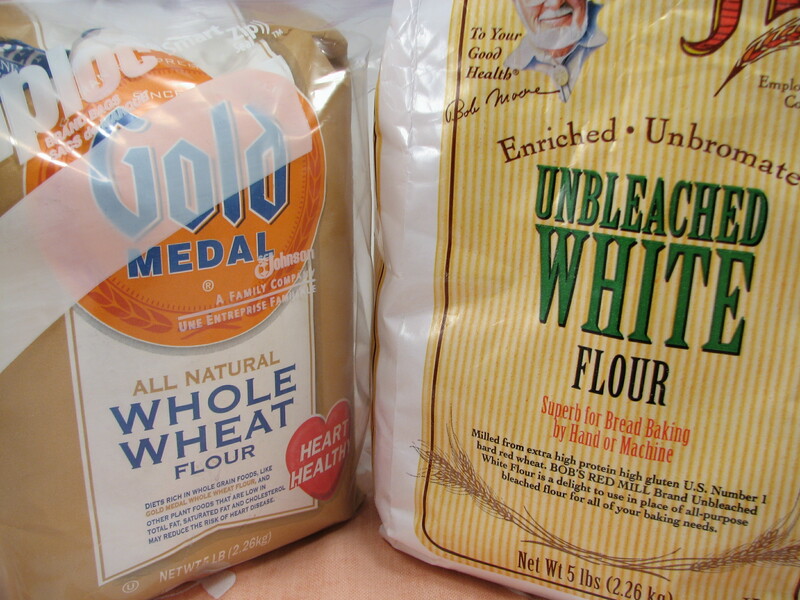 I used a blend of Whole Wheat flour and Bob’s Red Mill white flour. I also added a tiny bit of nutmeg to the mix. The Mixer made things so easy that there really wasn’t a whole lot for me to do once I added all the ingredients. Next were the very mushy bananas. But just a few. I baked the loaf for a little longer than the recipe called for because the center was just not cooking as much as the sides of the loaf. After about 50 minutes or so I added foil to the sides of the loaf and left the center open to bake more. Another 15 minutes and it was done. The whole house smelled so good! Michael got home and said something smelled wonderful. I wondered if he’d even want any of it because he’s not a fan of bananas. But he said that since it smelled so good he’d have to have a piece. And he LOVED it! 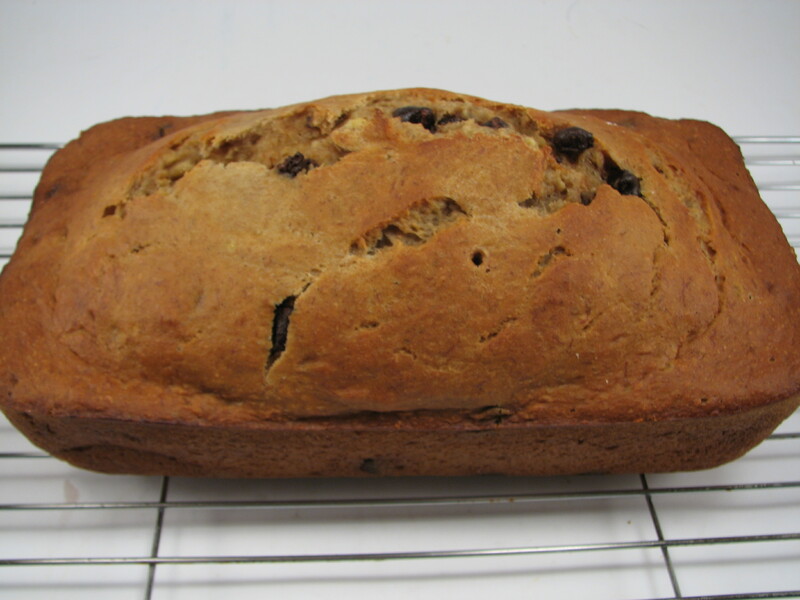 The banana bread was delicious, and even better warm with a little bit of butter on it. I normally don’t like nuts in my baked goods but I think adding a layer of chopped walnuts to the top of the dough before baking would be really yummy. And more chocolate chips! It’s a little higher in calories than I’d prefer but the recipe was delicious. Next time if I have bananas I need to use up I’ll look for a Weight Watcher’s recipe that’s less than this was in calories. I’d also love to find a recipe that I can add some sort of protein too…any ideas? 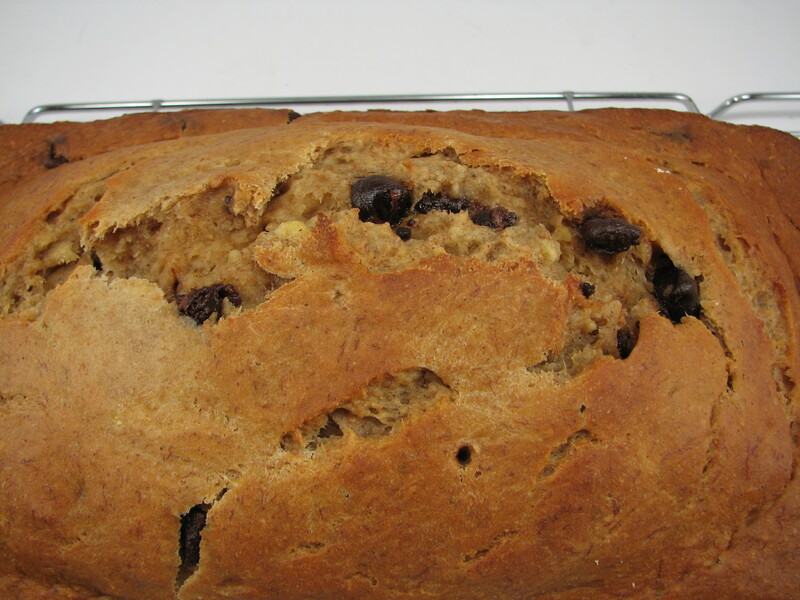 QUESTION: What’s your favorite “loaf” dessert? Looks delicious! Way to save the bananas! 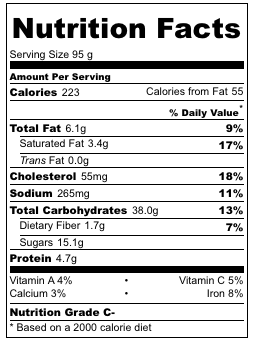 I have a low-fat recipe around here somewhere but I can’t imagine the stats can get much lower except with fat-free yogurt. Are your stats with the Splenda substitute? You know the stats were not with the Splenda substitute. I just used the original recipe to figure it out. Not sure if it would make a huge difference–especially since I added some chocolate chips. Hmmm with the splenda they were 193 calories a slice. Banana Nut Bread, and I use pecans. It’s a family recipe and we would have let those bananas ripen until they were on the verge of being totally brown before using them. My favorite way to eat it is toasted and slathered with butter, but I can suffer through with a modest amount these days. The bread was definitely better warm and with butter! Mmmm! oh my – this looks so delicious! 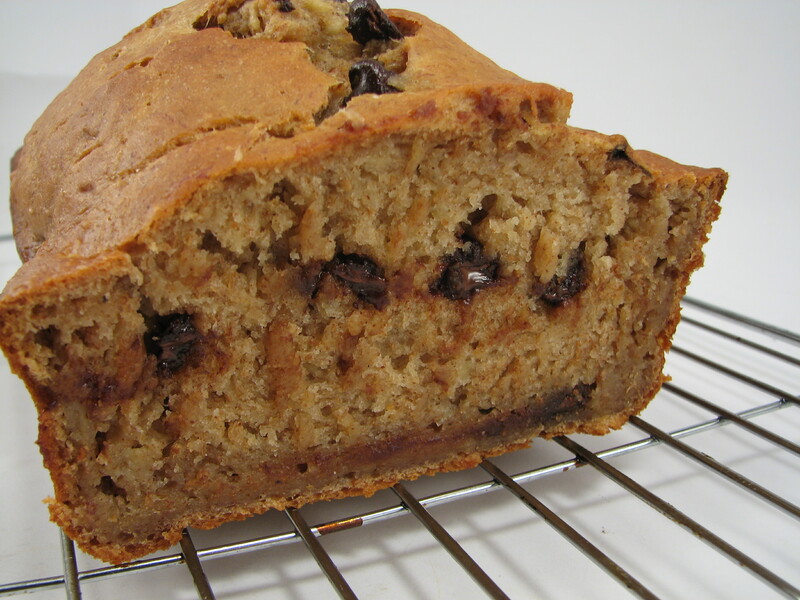 There is an awesome banana bread recipe that is low fat/calories on http://www.hungry-girl.com that we make all the time.